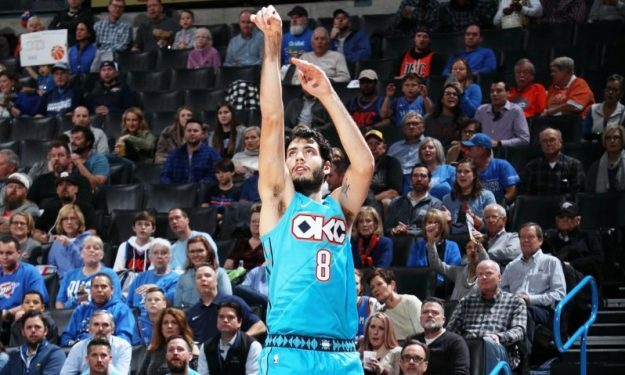 Alex Abrines has been waived by the Oklahoma City Thunder, as the club announced. The Spanish guard will become a free agent once he clears waivers. The Thunder part ways with Abrines after the latter spent the three seasons on the team. The Spanish wing has missed 17 games in a row since December due to “personal matter”, per the club. In 31 games this season, Abrines averaged 5.3 points and 1.5 rebounds over 19.0 minutes. The 25-year-old player had signed with the Thunder in 2016, after spending four seasons in EuroLeague with Barcelona. He was named the competition’s Rising Star in 2016.